The idea of "ecotourism" has taken off in recent years, but a crucial detail is often neglected: how do we know that an enterprise truly meets the goals and standards of ecotourism? Certification—the rating of lodges, resorts, tour operators, and other sectors of the tourism industry by independent auditors who verify environmental and social impacts—has emerged as the most promising answer. Ecotourism and Certification offers a valuable overview of ecotourism certification and lays out the basic challenges and strategies for establishing certification programs. Ecotourism is a promising approach to protecting threatened environments and communities around the world and certification is a key to making it effective. This is the first book to take a global look at the emergence and application of certification, and it speaks largely through the voices of those directly involved with the industry and in the countries where is has been applied. 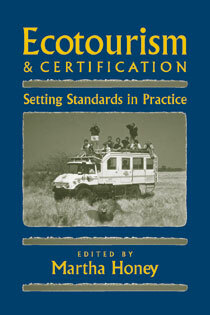 It will be an important contribution for ecotourism and development professionals worldwide.